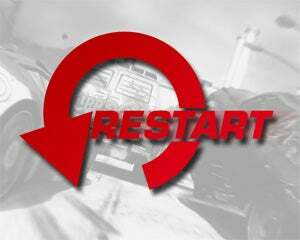 Free February Burnout Update Detailed - Restart! Coinciding with the early February release of the Burnout Party Pack, Criterion is readying a free content update that changes the way you race - and restart races - in Burnout Paradise. In a free update that hits on February 6th, Criterion adds several new features to the ever-evolving Burnout Paradise. Some are merely tweaks, such as turning the performance on the starting cars, changing the way barrel roll ramps work, and a general rebalancing of events. Others are a bit more visual, such as the recoloring of billboards, smashes, and super jumps to make them easier to spot, or the introduction of a new in-game Burnout Store, that allows players to purchase DLC without leaving the game. The most exciting change, however, is the ability to restart a race. It's the simplest feature for a racing game, yet it never quite made it in - until now, of course. It'll be like you've started all over again. Check out the Criterion post for a complete rundown of the changes coming on February 5th.